PT XL Axiata Tbk - XL Axiata is a reputable public-listed mobile phone operator in Indonesia. PT XL Axiata Tbk is positioned inside the top three of Indonesian cellular operators. XL Axiata has recorded 46.47 million active subscribers as at the end of December 2016, both postpaid and prepaid subscribers. PT XL Axiata Tbk is a member of Axiata Group Berhad (Axiata Group), a leading telecommunication service company from Malaysia. As of December 2016, PT XL Axiata Tbk is 66.4% owned by Axiata Group Berhard through Axiata Investments (Indonesia) Sdn. Bhd and the rest is owned by the public with 33.6% shares. Based in Jakarta, XL Axiata's operations are divided into 5 regions; West Region, JABO Region, Central Region, East Region, and North Region. These regions gave the company total of 82 XL center and XL stores spread in all over Indonesia. PT XL Axiata Tbk is also supported by 2 subsidiary/affiliate companies; PT XL Planet and PT One Indonesia Synergy. 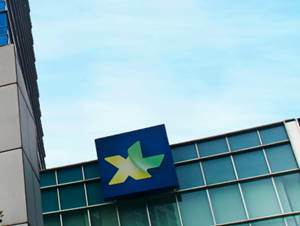 XL Axiata booked positive growth in 2016. According to PT XL Axiata Tbk Annual Report 2016 as cited by JobsCDC.com, XL Axiata registered total profit for the year 2016 of Rp376 billion as compared with loss Rp25 billion in 2015. XL Axiata’s gross revenues decreased by 7% year-on-year (yoy) from Rp22.96 trillion in 2015 to Rp21.41 trillion in 2016. Bachelor’s degree (S1) from any major discipline. Minimum3 years of experience in sales field or strong sales passion. Good understanding of sales, distribution, market and competitor analysis. Demonstrated good communication and sales presentation skills. Have experience in dealing with gadget store. The candidates with prior experience in handheld principal company is preferred. JobsCDC.com now available on android device. Download now on Google Play here. Please be aware of recruitment fraud. The entire stage of this selection process is free of charge. PT XL Axiata Tbk - Recruitment ASM Device, ASM SME XL Axiata October 2017 will never ask for fees or upfront payments for any purposes during the recruitment process such as transportation and accommodation.